Since graduating from Royal Holloway University in 2012, with the highest mark ever given to a choral conducting student, his conducting career has flourished and he is in high demand in London and Surrey. His belief that choral singing is a universal language which has the power to bring people together in times of need, is infectious. Jonathan conducts five choirs ranging from male voice choirs and boys choirs to mixed voice and school choirs. In 2015 he founded Weybridge Boys Choir, which has provided a free choir for boys across Elmbridge from any background. Jonathan has also doubled the size of his mixed voice choir over three years. His encouraging and ambitious approach has led to many singers of any age being inspired to take singing seriously and recognise their true potential. Jonathan is currently working on creating a school choirs festival to encourage school choirs in Elmbridge to perform and showcase their talent. This project is in its first year and has already got over three hundred school children involved. Jonathan also hopes to set up an auditioned semi-professional mixed voice choir in Surrey over the next year. 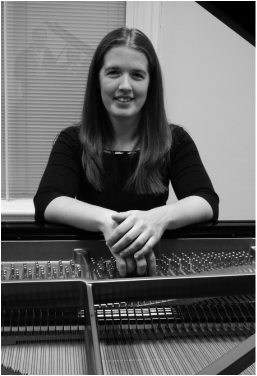 Hannah Stanley is a former Music Scholar of Sir William Perkins’s School, where she performed the Schumann Piano Concerto in A Minor with the Chamber Orchestra from Royal Holloway, University of London. She studied piano with James Lisney, and later with Enloc Wu at the Junior Department of the Royal College of Music, where she also studied saxophone with Sarah Markham and Mornington Lockett. She regularly accompanies local choirs and musical theatre groups including Treble Clef Ladies Choir, Zodiac Musical Theatre Group and, occasionally, Weybridge Male Voice Choir and Hatton Operatic Society. As well as working full-time, Hannah spends the rest of her time at the stables looking after and training her young dressage horse.